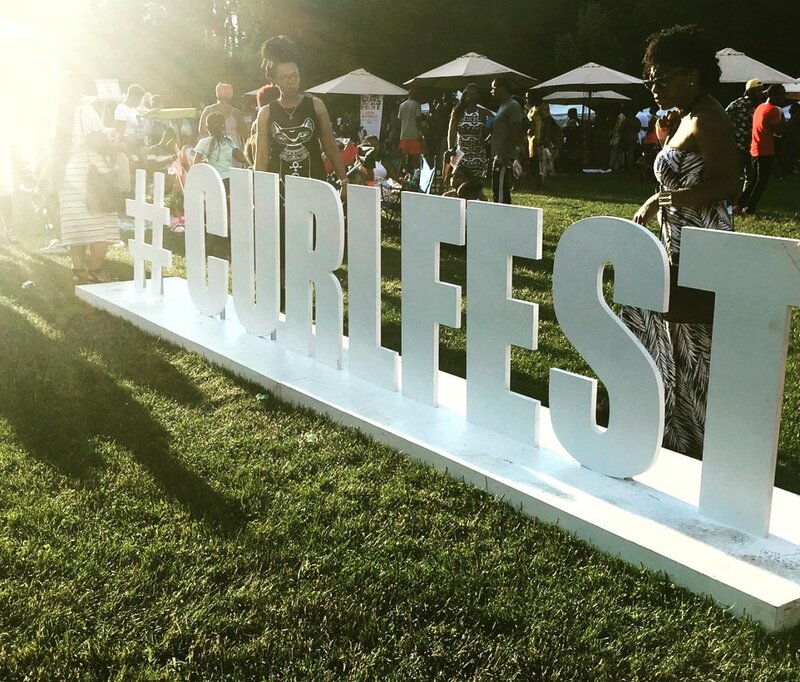 CURLFEST 2017 — ONDIA J. This weekend I made my way to Brooklyn, New York so I could be apart of the Curly Girl Collective's Curl Festival. 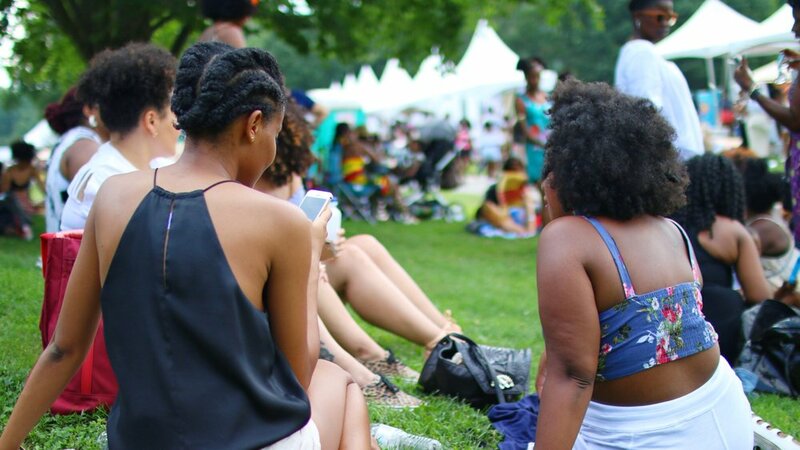 The event literally transformed a patch of Prospect Park into the mecca of naturalista's, melanin, style and pride. At every turn there was men and women celebrating and embracing their natural selves. It was so hot and humid, no one's hair or makeup stood a chance, but It was such a great atmosphere to be apart of. There was no judgement, only the exchanges of smiles, compliments and beauty secrets. There was so much to do and see it was sensory overload. There was a line of food trucks, a shopping row from all the brands like Shea Moisture, Lotta Body, Mielle Organics, Cream of Nature, ORS and Eden Body Works. There was the Dj stage and VIP area where you could catch glimpses of prominent influencers. Artist like Nigerian Visual Artist Laolu Senbanjo left his mark of the Sacred Art of the Ori Ritual on faces or "canvas" as he likes to call it. And of course there was ample space to just lounge and have a picnic because we were in a park after all. I got so many fashion and hair style ideas. crop tops and flowy maxis was on trend but for this type of festival, bright colors and Ankara prints for the win. Braids adorned with beads and rings, wash and go and afro's were the most popular hairstyles. The number one accessory was a fan or paper towel to catch the sweat followed by chokers and retro sunglasses. It was beautiful! Everyone there looked like Kings and Queens. I have attended a lot of natural hair events over the years and there's something electric when you're in a space with a lot of black people and I'm not saying this in a corny cliche way. But it's like Care Bear power or something. Our pride oozes from our pores and excites the air. You find yourself walking taller and genuinely happy to see complete strangers but consider them family in that moment and in some instances friends for life. #blackgirlmagic is real! All I can say is this event was amazing and we were all unapologetically magical.